Does California need a state dental director? In our ongoing coverage of Sacramento’s County’s dental plan for poor kids, we’ve reported on proposals to fix its performance, including a measure in the Legislature that would fundamentally change the way the Medi-Cal program works in Sacramento County. But there’s another, earlier bill that advocates say would have statewide impact, especially for Californians who live in places where dental treatment is difficult to access. -- authorize a study that, well, this part is up in the air. The study, interestingly enough, is the most controversial aspect of the bill. First, what would a state oral health office and dental director do? “The dental director would bring programs to California’s communities that would increase access to preventive dental programs for kids, such as school sealant programs and educational programs,” said Jenny Kattlove, director of strategic health initiatives for The Children’s Partnership, which sponsored the bill. Merck & Co. said Wednesday it won another lawsuit brought by a patient who said the company's osteoporosis drug Fosamax caused jaw problems. Merck, which faces more than 2,300 lawsuits connected to Fosamax, said it has won five of the six Fosamax-related lawsuits that have gone to trial. In the latest instance, a New Jersey court found in Merck's favor. The lawsuit was brought by a woman who used Fosamax between 2002 and 2008, and who blamed the drug for jaw problems and complications that followed the removal of four of her teeth in October 2007. Merck said the woman had evidence of significant infections that required invasive dental procedures and had conditions that impaired her healing after surgery. The company said it acted responsibly in developing Fosamax and monitoring its use after approval. The patients suing Merck say they developed jaw and dental problems including osteonecrosis of the jaw, or rotting of the jawbone, after using Fosamax. The condition occurs when blood flow to the bone is reduced for an extended period of time. Merck said the lawsuit was the second case to go to state court in New Jersey as part of coordinated litigation on Fosamax. The company said it also won a series of four trials in a New York U.S. District Court in 2010. A separate case in New York resulted in a verdict for the plaintiffs and against Merck. The plaintiff's award was reduced to $1.5 million, and Merck plans to appeal the verdict. Lufkin Police have arrested two dental employees accused of stealing dental gold from their employers and selling it to gold buyers. Heather Ricks Terry, 30, of Huntington, and Mary Dorsey, 42, of Huntington, are each charged with a state jail felony of theft. 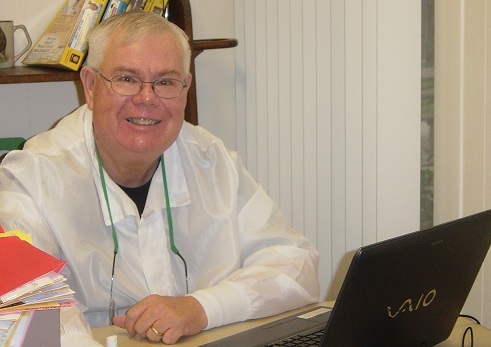 According to an arrest warrant affidavit, Dr. David Palmer with Palmer and Ross Dental Group, located at 111 Christie Drive, filed a report at the police station and claimed $5,000 in scrap gold pieces had been stolen from his office. Palmer said an employee had knowledge that Terry and Dorsey had stolen the scraps. Police also interviewed a gold buyer for Borders Group. According to statements, the owner of the Posh Cottage in Lufkin held a gold party on Nov. 8, 2011, and Terry and Dorsey and another employee came into the party together. Before the buy took place, the third employee left the party. The buyer said Terry and Dorsey approached the buying table to sell the used dental gold and some unused dental gold pieces. The buyer said she asked the women where they had gotten so much gold and Dorsey told her she had worked for a dentist who had died recently and the gold was given to her. The suspects sold the gold for $3,600, according to the affidavit. One witness said, "when we quoted the amount for the dental gold they seemed shocked and said that they had more to sell at a later date. A statement was made by one of the girls not to tell the third girl how much money they made because she didn't help them that much." Kidney stones strike an estimated 1 million Americans each year, and those who have experienced the excruciating pain say it is among the worst known to man (or woman). ow, new research by scientists at Washington University School of Medicine in St. Louis provides evidence to explain why some people are more prone to develop the condition than others. Their discovery opens the door to finding effective drug treatments and a test that could assess a person's risk of kidney stones. "Now, we finally have a more complete picture detailing why some people develop kidney stones and others do not," says senior author Jianghui Hou, PhD, assistant professor of medicine. "With this information, we can begin to think about better treatments and ways to determine a person's risk of the condition, which typically increases with age." The research, in mice, is now available online in the EMBO Journal, published by the European Molecular Biology Organization. Because kidneys function the same way in mice as in humans, the new findings can help scientists understand the root causes of kidney stones in patients. The mouse model used in the study can also serve as a platform for the preclinical testing of novel treatments for the condition, the researchers say. Most kidney stones form when the urine becomes too concentrated, allowing minerals like calcium to crystallize and stick together. Diet plays a role in the condition -- not drinking enough water or eating too much salt (which binds to calcium) also increases the risk of stones. But genes are partly to blame. A common genetic variation in a gene called claudin-14 recently has been linked to a substantial increase in risk -- roughly 65 percent -- of getting kidney stones. In the new study, the researchers have shown how alterations in the gene's activity influence the development of stones.